A mobile app that reimagines how we store and recall our memories in a digital medium. Exploring various ways to connect with our digitised memories and engaging in methods to engage both the virtual and physical world. Fabric is a time and location based interface that allows users to visualize their own memories and to share them with friends. The app detects their phone location, connects with their social media accounts and synchronises with phone photo albums. 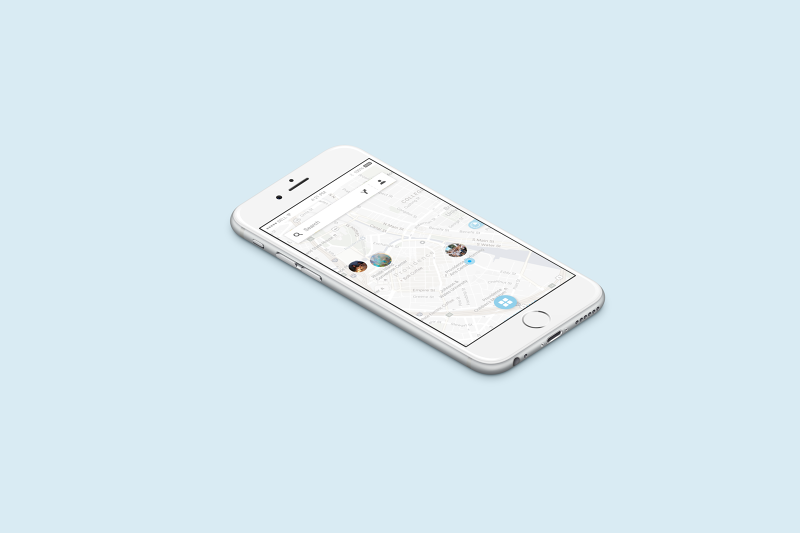 The redesigned interface incorporates both a map and AR view, which offers users with multiple ways to interact with their memories. Our intentions for this redesign were to help users achieve more control with their memories and build a level of trust with the mobile app. Including social features could also encourage further engagement with their environment, themselves, and others within and beyond the app. We began by identifying the problems that users experience with memories. The two types of memory we are analysing are 1/ the biologically-occurring memories stored in the brain and 2/ the digitised, multimedia memories stored in hardware or cloud services. With memories from the brain, the issues were tied to recollection and documentation, which digital memories (photos, videos etc.) helped solved. However, digital memories are not always organised and stored in a way that is intuitive or organic to us. To further merge both memory types, we wanted to introduce an AR perspective to integrate both the digital and real world in those memories. The immersive AR view allows users to tap on memories and to see friend’s past memories based on their current location. This version of Fabric could help with the organisation and synchronisation of both memory types. To start the iteration process, we produced paper wireframes and completed Wizard of Oz usability testing. We continued with this cycle of testing and revisions to inform our decisions for the next couple of iterations. With the feedback that we received from heuristic evaluations, and online (usertesting.com) and other rapid usability testing methods, we arrived at a high-fidelity version of our product.